Congratulations on the achievements that have led you to this step in your journey. New Student Orientation marks your entrance into the UWM community. This program will introduce you to the UWM campus, as well as to other new students and families. New Student Orientation is intended for new students, but parents are welcome to attend Family Orientation. We also provide a separate program for Transfer and Adult Students, which is more tailored to the transfer and adult student experience! 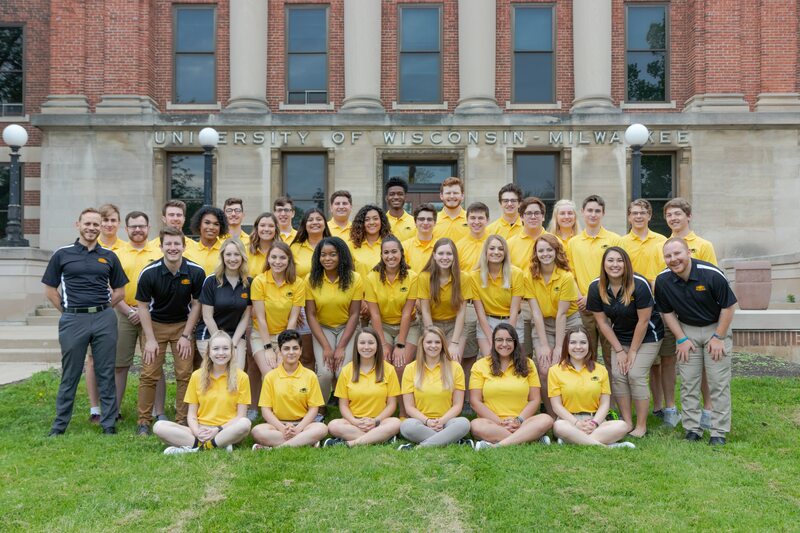 After checking in, you will have the opportunity to participate in the UWM Meet & Greet, which is a campus resource fair where you have the chance to talk to different offices on campuses about the services they offer and how they can help you during your time at UWM. For a complete list of offices attending the Meet & Greet, look here! When attending New Student Orientation, we ask that you park in the Union Parking Garage located off of Kenwood Avenue (2200 N. Kenwood Ave.). From the parking garage, Orientation Leaders and signage will direct you to the check-in area (Union Concourse). Parking is included in the New Freshman Fee and you will be given a pass when you arrive at the garage. Please note that parking is not available for New Student Orientation until 8:45am. If you arrive prior to this time, you will not be given a pass and there may not be space to accommodate your vehicle.